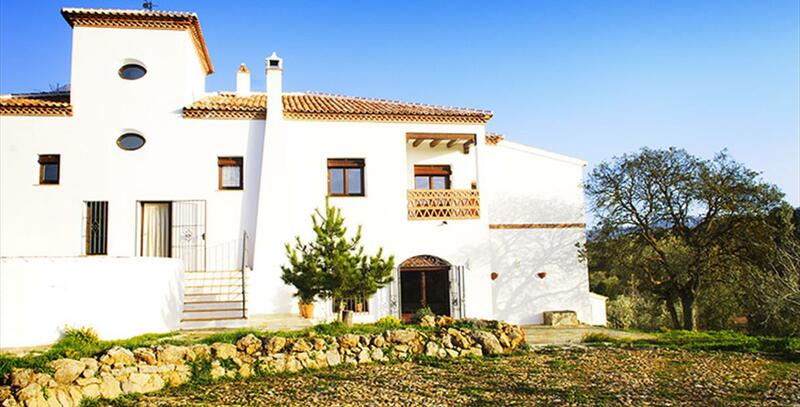 Villanueva del Rosario is a town in the district of Nororma, in the province of Málaga, located next to an imposing mountain front formed by the Sierra de Camarolos and the Sierra del Jobo. The natural saucedeño (people from Villanueva del Rosario) setting is richly varied, with beautiful landscapes, caves, sites and many other active tourism attractions. Important Visigoth remains have been found in the borough of Villanueva del Rosario. Close to the town centre, a number of very interesting Visigoth necropolises have been found. Also of note are the ruins found on the Finca del Tardón and on the Peñón del Oso. Both sites dating back to the Copper Age. 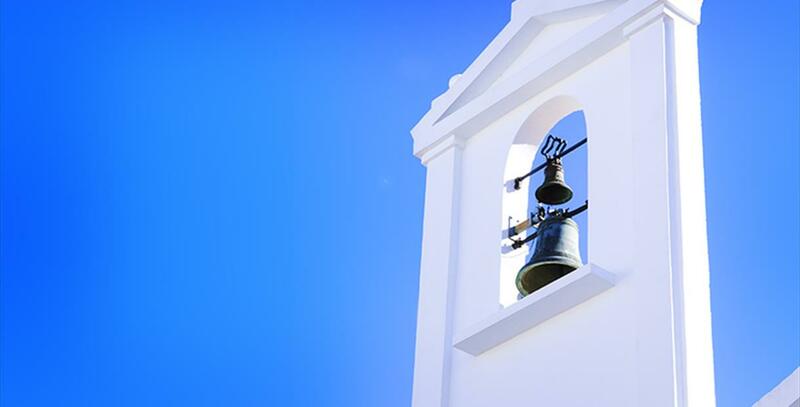 Places to visit in the saucedeño town include the parish church, the Rincón and de los Escalones sites, the Fuente Vieja (Old Fountain), the Casa Burguesa and other beautiful examples of local Andalusian architecture. The hermitage of Nuestra Señora del Rosario, dedicated to the patron saint of the village, lies between the sites of the Nacimiento and Hondoneros. There are 41 km from Malaga to Villanueva del Rosario. By car, the journey takes a little less than 40 minutes along the A-45 and A-92M highways to junction 16 where you take the A-7203 to your destination. In public transport, take the bus from Malaga-Villanueva de Tapia via Villanueva del Rosario. The journey takes approximately 1 hour and 10 minutes. The river Guadalhorce and the Sierras del Jobo and Camarolos are the most prominent elements in the Villanueva del Rosario landscape, and are an invitation to enjoy hiking or active tourism. The Tajo de la Maera, for example, is perfect for canyoning and abseiling. 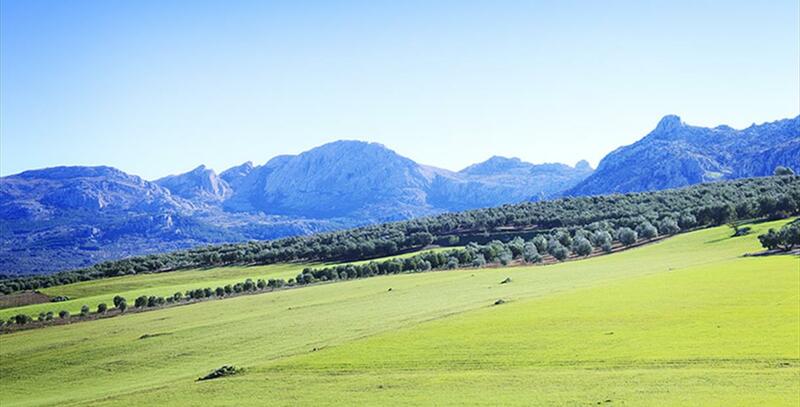 The rest of the town is dotted with poplars, pine trees, Holm oaks… and beautiful olive groves, a truly Andalusian setting. If you like music, in Villanueva del Rosario you can visit the International Music Festival of Villanueva del Rosario, an event dedicated to chamber music. This takes place in July. For other types of music, in November we have the Rocksario Festival, an event geared towards rock and pop enthusiasts. In April, the saucedeños take to the country to enjoy the romería de San Marcos. But the most important festivities in Villanueva del Rosario are those held in October in honour of the patron saint, Nuestra Señora del Rosario, which include a huge number of recreational activities in the town. The local cuisine includes delicious dishes such as wild asparagus soup, tagarnina (a wild plant from the thistle family) stew, casseroled meat in almond sauce and fried mushrooms. Also of note are the dishes based on pork, sausage and crackling, and of course game stews made with rabbit or partridge. The town grows excellent quality vegetables which undoubtedly add flavour to the local cuisine. Villanueva del Rosario has been at the crossroads of civilisations since time immemorial. However, no prehistoric settlements have been found, despite the traces left by nomad tribes that can be seen in several archaeological sites. The oldest, from the Lower Palaeolithic, is in Ventorro del Cojo, in the Guadalhorce upper valley. Cave paintings were also found in the cave of Malnombre, in Sierra de Camarolos. What is now Villanueva del Rosario housed several Roman settlements. Being a mountainous area, it was considered by the Romans to be apt for shelter. The largest settlement was the city of Ulisi, on Peñón de Solís. The Visigoths brought Roman rule to an end. They left several burial sites in Villanueva del Rosario: El Repiso, La Calerilla, La Rabia and El Picacho, where buckles, rings, pottery and other objects were found. After the Visigoths, the area was engulfed by the woods and remained thus for about ten centuries. In the late nineteenth century, the Guadalhorce upper valley was repopulated. Then known as "El Saucedo", the area was under the jurisdiction ofArchidona. With a strengthened town centre, Locals fought to become independent and have their own authorities. Their town came to be known as "Villanueva del Rosario". After endless years of litigation, the process was completed in 1827.